Children at a secondary school in Hull have been banned from going to the toilet during lessons. 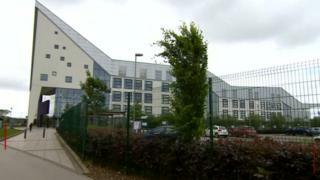 The policy at Archbishop Sentamu Academy has been designed to stop students from avoiding learning during class hours, the school said. But angry parents are outraged at the move, with some saying it could damage their children's health. The school said pupils can use the toilet if they have written permission or a doctor's note. John Manolasses, who has a daughter at the school, said: "She gets upset when she has to hold it in. "She has been having pain." He said the school should rethink the policy. "If they definitely need to go they should go," he added. Another parent, Catherine Glover, said she was also concerned about her daughter's health. She said: "She is getting poorly because of it. "I want her to do well in school and I do not want her off school with bladder problems." Another parent posted on social media: "My child goes here and I said if she's refused toilet at any time she walks out, it's a basic human need, it's not like they are asking for snack breaks." Executive principal Andrew Chubb said only four parents had contacted him with concerns about the new policy. He said: "It would seem to us that the vast majority of our parents agree it [the policy] is sensible. "This rule is about making sure children have the maximum amount of time learning and making sure there is the minimum disruption to learning in classes." Mr Chubb said students had plenty of opportunities outside lessons to use the toilet and pupils with a medical reason would not be refused permission. The school has more than 1,400 pupils, aged between 11 and 18.